Business Intelligence (BI) is a core competency of smart business. BI connects people with data and information, making it possible for decision-makers to access, analyze, and act on information. Information and analysis are essential competencies for strategy, direction setting, planning, problem solving, management, and operations. The impact of BI is substantial, but scope and complexity of BI systems is equally significant. The BI stack encompasses technology platforms, data integration, data management, reporting, analysis, business performance management, business analytics, and decision sciences. Putting the pieces together in the right ways – building, operating, using, and evolving BI systems – is a complex undertaking that involves many people and many skills. 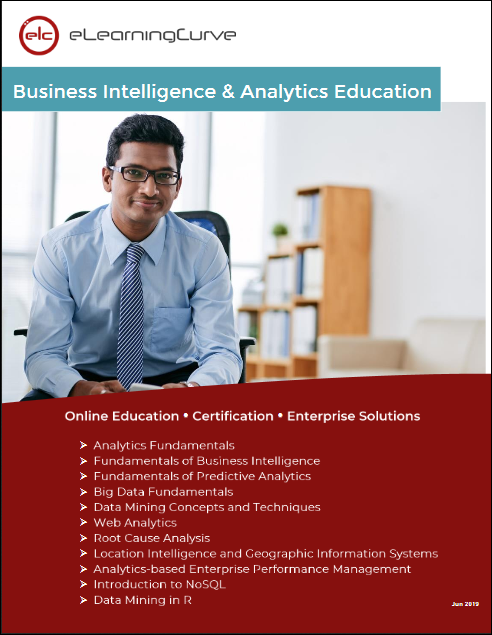 Our BI curriculum includes 20 online courses listed below.